Support for creating 64-bit iOS apps. This uses the new “Xamarin.iOS Unified” profile. The existing profile has been deprecated but will remain for legacy enterprise-only apps. As of Feb 1, Apple will require new apps to be 64-bit and as of June 1, updates to existing apps must be 64-bit. See this guide for how to migrate existing iOS apps to the new framework. In most cases it’s just running the migrate tool and removing MonoTouch from using statements. Support for Visual Studio 2015 Preview. For those of you using the VS 2015 preview, Xamarin 3.9 supports it. 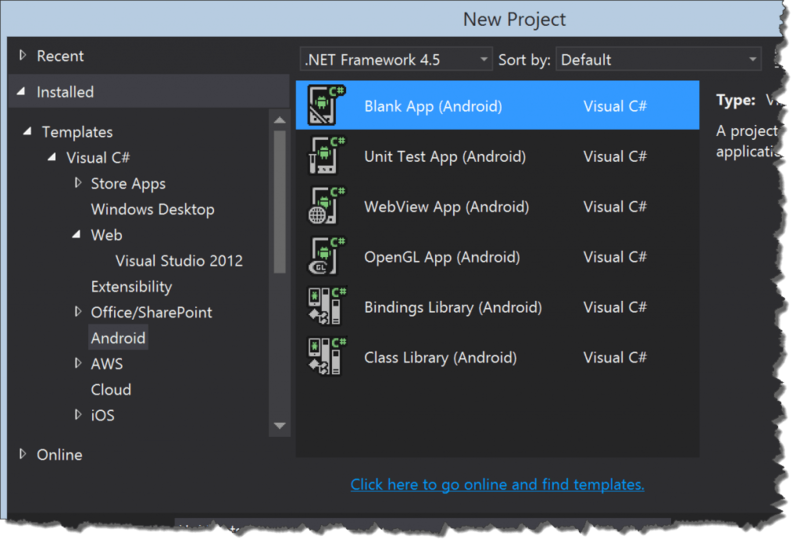 Visual Studio Android Emulator support. 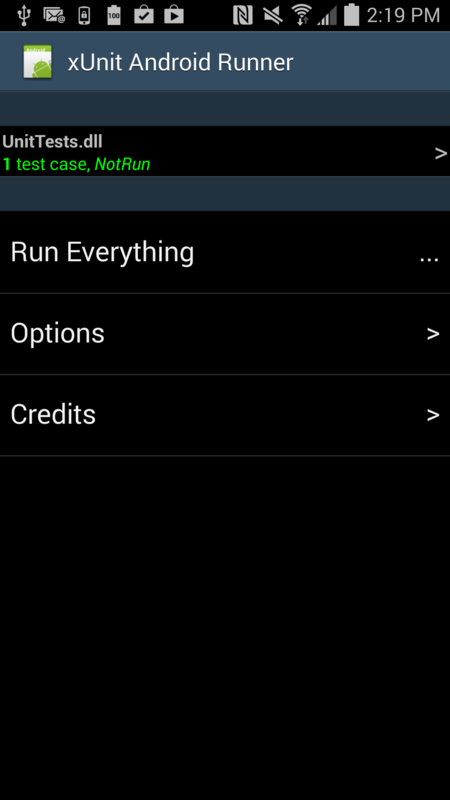 The VS Android emulator uses Hyper-V, so it’s fast and also works if you had to enable HyperV for any other reason and thus can’t use Genymotion or other ring 0-based virtualization. Next up in the saga of Xamarin Forms: DataTemplateSelector‘s. For people coming into Xamarin Forms from Microsoft XAML, it’s easy to see many gaps. Xamarin Forms is still young, but there are some workarounds. I’ve already blogged about how to implement a ContentPresenter, next up is the DataTemplateSelector. Supposed you want to put a list of items into a ListView but use a different DataTemplate for some of the items? In Microsoft XAML, you could set the ItemTemplateSelector property to a custom DataTemplateSelector and you’d be all set. Sadly, this is not yet available within Xamarin Forms, but we can create our own. With these two pieces, you can now create your own selector. Suppose you have an RSS Feed that you want to display an alternate template every 4 items. For this example, we’ll assume that each item in the list has an index attached. When rendered, the first item will have the large image template and then every fourth item will too. BONUS: You can use either View or Cell-derived types in your DataTemplates as the control will automatically wrap Views into a ViewCell. While working on a new Xamarin Forms project, I came across the need for a ContentPresenter ala Microsoft XAML. The basic idea is to use a placeholder for a piece of content (usually a ViewModel) and then supply a DataTemplate to control how it should be displayed. This goes back to some of the more “classic” MVVM patterns where we want to make our display more componentized. In Xamarin Forms Today (v1.3.0), if you want to create a custom component, you can derive from ContentView and go to town. Add your widgets either with XAML or in code. Many times though, we don’t really need to create a new class/view directly. A DataTemplate is sufficient as we can bind to the ViewModel and use Commands to take action. These are the so-called “zero code-behind” views. In this case, a ContentPresenter is all we need – set the BindingContext to your ViewModel and create/bind a DataTemplate. New to Forms 1.3, you can now put resources in the Application-level, so you can more easily share those instances. If you want, you can get fancy with Triggers and change the ItemTemplate to vary based on whatever conditions you want. Beware: Xamarin beta channel is borked! Here’s the core issue: Xamarin’s QA screwed up with the beta channel on Windows. If you use any portable class libraries in your projects (even if not at all Xamarin related! ), VS will fail to load them due to a Xamarin bug. This is pretty poor and should never have made it to beta. That said, if you want to use Xcode 6, you need to use Xamarin.iOS 8 on your Mac. Problem is that the stable version of Xamarin for VS won’t work with that…needs the matching beta. If you try to use Xcode 6 with the stable Xamarin.iOS, it can’t debug…so bam. I’m sure this will be cleared up very shortly, but you might want to refrain from either installing Xcode 6 on your Mac or using the Xamarin beta channels for the next several days. Version 3.6.197 on Windows is the bad one….they say it’s fixed already, so the question is how quickly can the push an update out. I’m happy to announce that Dennis Doomen and I have coordinated to sim-ship Xamarin support for Fluent Assertions 3.1 along with the main Fluent Assertions release. 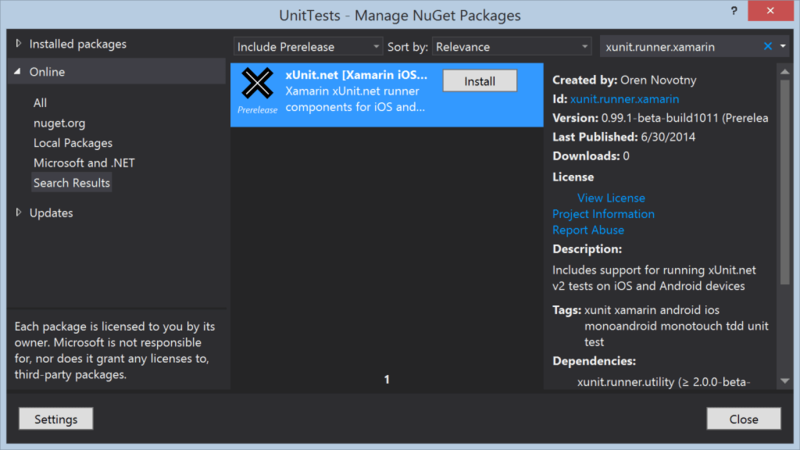 This release works well with xUnit for Xamarin or Xamarin’s existing nUnit/nUnitLite. You can find the main release notes here. 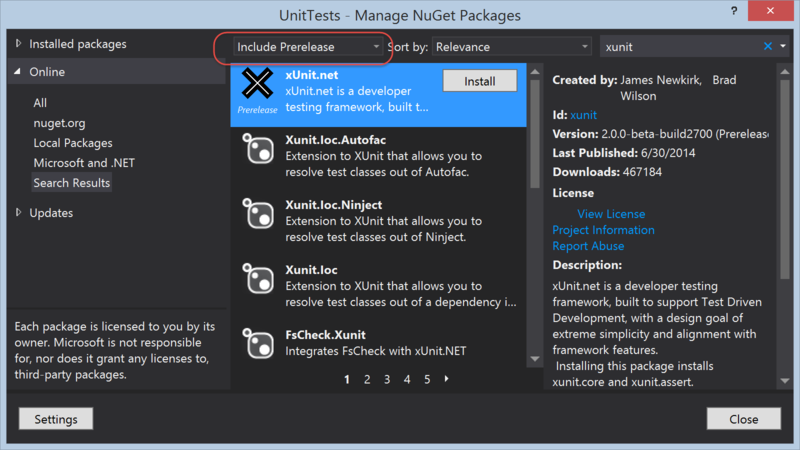 To use Fluent Assertions with your Xamarin Unit Test project, just add a NuGet reference to FluentAssertions.Xamarin.